Whether you’re in it for first chair or last call, the best way to spend college spring break is on the sunny slopes of your favorite resort. SnoCountry took a look at some of our favorite college spring break destinations. Take a break from the book at Vermont’s Stratton. Bring your friends to shred the mountain by day, hit up après at Grizzly's, grab dinner in the village, then check out the late-night scene back at the Green Door Pub. Spend your winter break enjoying live music, late night events, food that’s way better than your college cafeteria and endless activities. Book up to three nights starting at $75 per person per day. Jackson Hole has had their snowiest February ever, setting them up for a spectacular March. This is the year to join college students from around the country to enjoy a powder- and live music-filled spring break in Jackson Hole. Your college ID and $199 will get you three days of skiing between March 6-17. The College Rendezvous weekend, March 8-10, includes a lineup of live music on the mountain and in town. Trade in the beachside sunburns for crisp blue skies, fresh mountain air, perfectly-groomed slopes, and ski town parties at Sun Valley. Deals to make it even sweeter include your fourth night free at the Sun Valley Lodge or Sun Valley Inn, or bring your season’s pass from another resort and receive 20 percent off lodging and 40 percent off lift tickets. Don’t miss the Sun Valley Film Festival March 13-17. At Aspen Snowmass there’s no better spot for après people watching and soaking in the sun on the deck than Ajax Tavern next to the Silver Queen Gondola. Aspen's Bud Light Spring Jam, March 15-24, will bring two weekends of competitions, downtown concerts and parties. The festival kicks off with the Core Party concert in downtown Aspen and continues the next day with KickAspen Big Air. Not only can you ski in both California and Nevada at Heavenly, but the renown nightlife is happening in both states too. 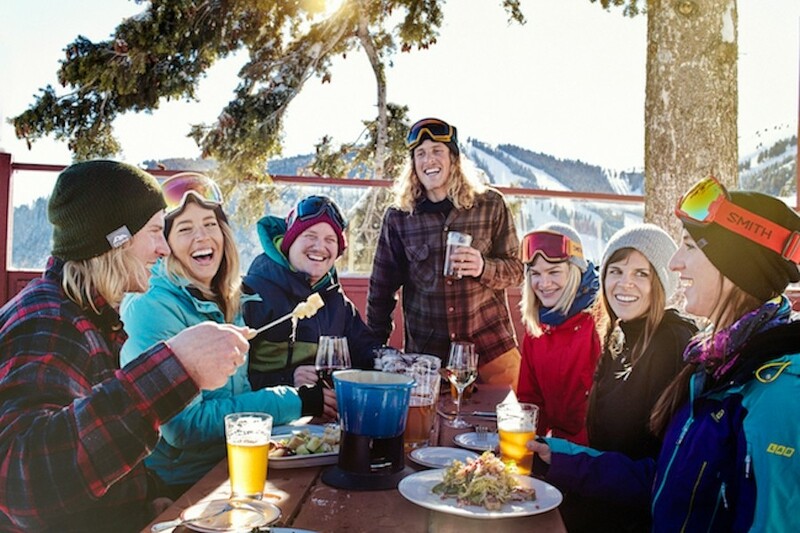 Check out the newest and hottest mountain après scene at LAT38 on the California Lodge's roof top, then scope out the new craft beer scene in South Lake.